iPhone 7 and 7 Plus created quite a buzz when they were released back in September 2016. Apparently, some people were ready to sell everything just to get their hands on the new iPhones. Well, the wait is finally over as iPhone 7 and 7 Plus are now available in Nepal via Oliz Store, Evo Store and FutureWorld Nepal. 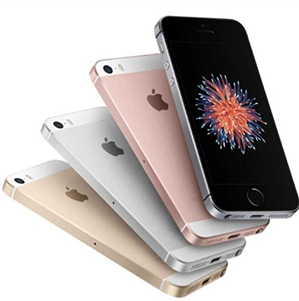 iPhone doesn’t need any introduction as it has become popular in Nepal in the last two years. However, the price tag might startle some people as the lowest configured iPhone 7 (32GB) costs NRs.91,000 and the highest configured iPhone 7 Plus (256GB) costs NRs.1,36,500. 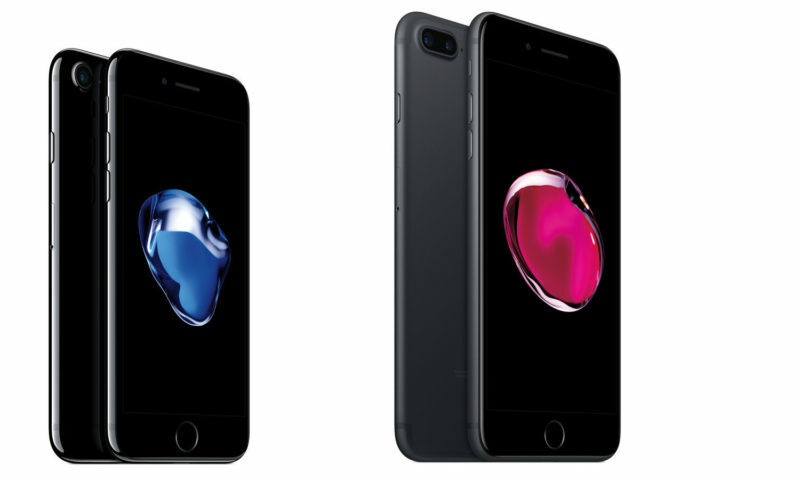 iPhone 7 comes with a 4.7-inch (750 x 1334) LED-backlit display featuring 3D touch and oleophobic coating. However, the screen resolution is still not full HD(1920 x 1080). It comes with the all new Apple A10 Fusion chipset and 2GB of RAM. Instead of a physical button, the home button is replaced by touch sensitive surface with haptic feedback. 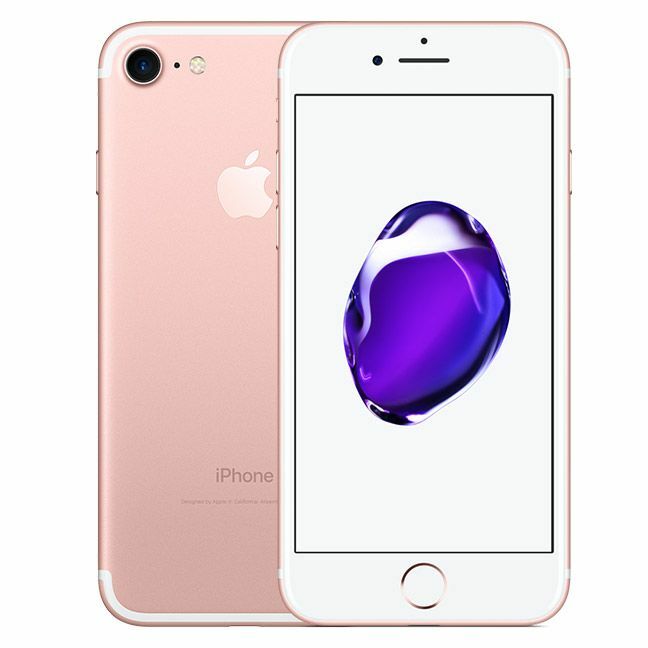 iPhone 7 comes with an improved 12MP rear camera and a 7MP front-facing camera. Also, there is no 3.5mm headphone jack anymore which could be quite troublesome for some users. The increase in built-in storage sees basic iPhone 7 come with a built-in 32GB of memory. iPhone 7 Plus rocks a bigger 5.5-inch FHD (1080 x 1920) display featuring 3D touch, Ion-strengthened glass, oleophobic coating, and wider color gamut. 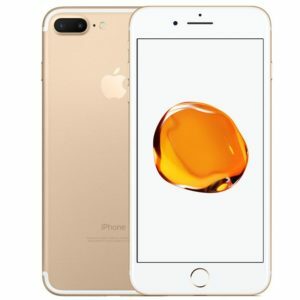 Both the phones are IP 67 certified and have similar specification except the iPhone 7 Plus features a dual 12MP rear camera. With the dual camera setup, iPhone 7 Plus can fit a wider frame than the previous iPhones and at the same time, it offers 5x digital zoom. Also, both the phones including iPhone 7 Plus are water-resistant up to 1 meter and 30 minutes. 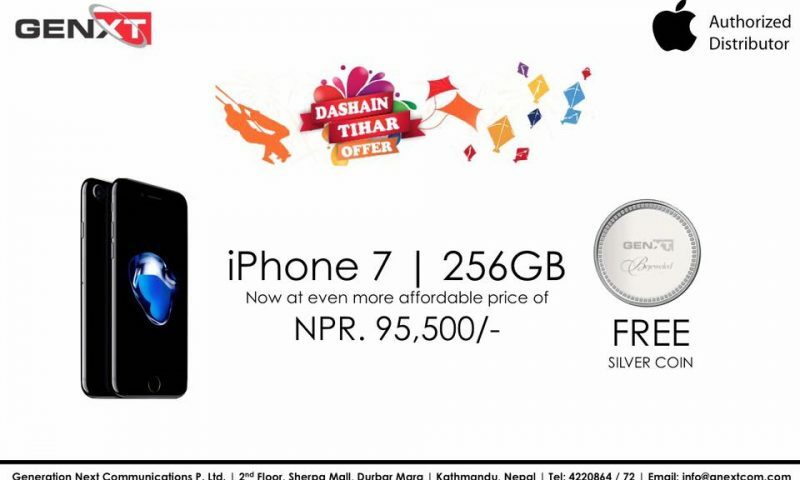 iPhone 7 and 7 Plus are premium phones with staggering price tags, so the phones might not be attractive to normal Nepali users. However, premium users and iPhone fanatics will definitely be grabbing the iPhone 7/7 Plus as quickly as possible. Personally, I would go for a better android device than an iPhone 7 which looks almost similar to the older iPhone.